Environmentalists have welcomed the move to protect what's said to be the Earth's most pristine marine ecosystem. They hope it will be the first of many such zones in international waters. The region is important to the rest of the planet as the upwelling of nutrients from the deep waters are carried on currents around the world. The Ross Sea is also home to huge numbers of krill, a staple food for species including whales and seals. Their oil is critical for salmon farming. However there are concerns that overfishing and climate change are having significant impacts on their numbers. The proposal, introduced by New Zealand and the US, and accepted by all the other nations, will see a general protection "no-take" zone where nothing can be removed including marine life and minerals. As part of the compromise that emerged in negotiations, there will be special zones where fishing from krill and toothfish will be allowed for research purposes. "I'm absolutely overjoyed," said Lewis Pugh, the UN Patron for the Oceans, and someone who has campaigned for years in support of this new MPA. The ocean advocate and swimmer drew attention to the Ross Sea with a series of swims in the icy waters - and for two years he has engaged in a series of meetings, dubbed "speedo diplomacy" with Russian officials to convince them of the value of the MPA. 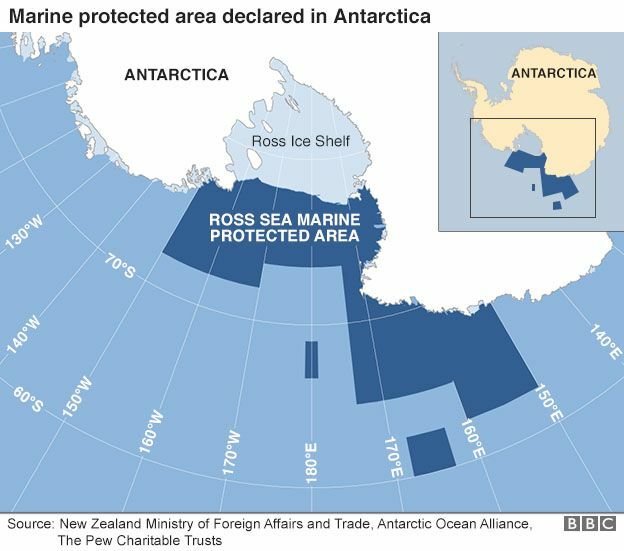 At the end of negotiations last year, Russia was the one country holding out against a consensus on the Ross Sea. But this year there has been what Mr Pugh describes as an "environmental glasnost". Russia's President Vladimir Putin has designated 2017 as the Year of Ecology and the country has recently expanded an MPA around Franz Josef Land in the Arctic. Sergei Ivanov, President Putin's Special Representative for Ecology, welcomed the new deal. "Russia has a proud history of exploration and science in Antarctica. 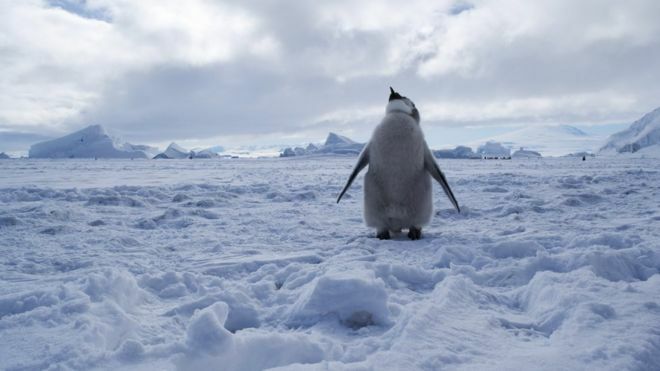 In this time of political turbulence in so many parts of the world, we are pleased to be part of this collaborative international effort to safeguard the Ross Sea," he said. One of the key questions in the negotiations was how long the MPA should last. China is on the record as stating it believes that 20 years is long enough for a designation. Many conservationists say this is far too short, given the lifespan of creatures that life in the Ross Sea, such as whales. Ultimately, the parties agreed on 35 years. The designation was welcomed not just by campaigners but also by those with close links to the Ross Sea. "The Ross family are euphoric that our family legacy has been honoured in the 175th anniversary year since James first discovered the Ross Sea," said Phillipa Ross, great, great, great granddaughter to Sir James Clark Ross, after whom the Ross Sea is named. One of the other big concerns that delayed the proposal was the fact that it could set a precedent for other high seas negotiations around the world, such as in the Arctic and in attempts by the UN to develop a new marine biodiversity treaty. Lewis Pugh is very hopeful that this will be the case. And he's willing to keep swimming until it happens. "This to me represents a first step, I am heading back down to the Antarctic peninsula to carry on swimming, I want to see a series of MPAs around this continent that I feel so much about," he explained. "For me this is an issue about justice - justice between generations. There seems to be something fundamentally wrong with us destroying our oceans so our children and grandchildren have absolutely nothing."